Spring time at City Park! Join your City Park family for fun every day of the spring season! Use #iheartcitypark when you post about all the fun you’re having! The Ladybug Roller Coaster is back in City Park! Visit Carousel Gardens to ride! We know you’ll love it! Visit the Grow Dat Farm Stand each Saturday morning from 9am till noon. While there you can take an Education Tour of the facility. Bring Home the Veggies and more! Check out the Farm Stand at Grow Dat Saturdays to purchase youth-grown produce in the City Park area’s only Saturday produce market. Get your weekly supply of fresh sustainably grown veggies, herbs, and cut flowers direct from the farm in City Park! Specialties include salad mix, arugula, lettuce, kale, chard, and a variety of herbs. Produce is grown and sold by youth employees who are training as young leaders through the work of organic farming. Youth will be providing free tours of our fields, eco-campus and bayou corridor. All proceeds will go to further our mission to nurture a diverse group of young leaders through the meaningful work of growing food. Visitors can even take a tour while at the facility. Park Address: 150 Zachary Taylor Dr. (between Pan Am Stadium and Dog Park). For more information, email Sarah Howard at sarah@growdatyouthfarm.org, call 504.598.2743, or visit the website: www.growdatyouthfarm.org. Plant Sales: The Pelican Greenhouse is located just off Henry Thomas (Golf) Drive just south of the I-610 underpass. Bring a wagon and arrive early for best selection. The Plant Sales are from 9am to noon and admission is free. For additional information call 504-483-9464 or e-mail plants@nocp.org for a list of plants that will be available for sale. Check the Park calendar for dates. Big Bass Fishing Rodeo and Fishtival is fun for the whole family! Join us on March 28th and see if you can catch a big fish! The Park's Big Bass Fishing Rodeo will take place at Popp Bandstand and the fishing will be park-wide with some exceptions. The event includes the fishing rodeo, boats on the bayou, and a free fishtival! Please see BigBassFishingRodeo.com for more details. The annual Spring Garden Show in the New Orleans Botanical Garden invites visitors to explore horticultural exhibits and enjoy educational lectures, and family-friendly activities. The LPO’s Swing in the Oaks will take place on the Park's Goldring/Woldenberg Great Lawn on April 21st at 6pm. Music will begin at 6pm and run to 8:30pm. Arrive early for the best spots on the Lawn. This is a free event for the whole family! If you bring your dog, please remember the leash (it’s a law!). Don’t miss Earth Day at City Park on April 21st. Walk over to the Botanical Garden from Swing in the Oaks and learn about living green, sustainability, recycling, composting ,and more. Join the Bird Watching class in City Park on April 25th at 8am. Explore the Couturie Forest with Mark Meunier while enjoying a look at City Park’s avian inhabitants in the Couturie Forest. Mark will show you their habits and alert you to their calls. Appropriate walking attire and binoculars are needed. Meet at the Couturie Forest trailhead on Harrison Avenue in City Park. For more information or to register call 483-9473 or email scapley@nocp.org. National Public Gardens Day: Public gardens are a fun activity for families, couples, and enthusiasts, providing a low-cost, entertaining, and beautiful community outing while providing important resources, education and research on environmental stewardship and conservation. National Public Gardens Day was created as a way to help educate the community about the important role Public Gardens play. 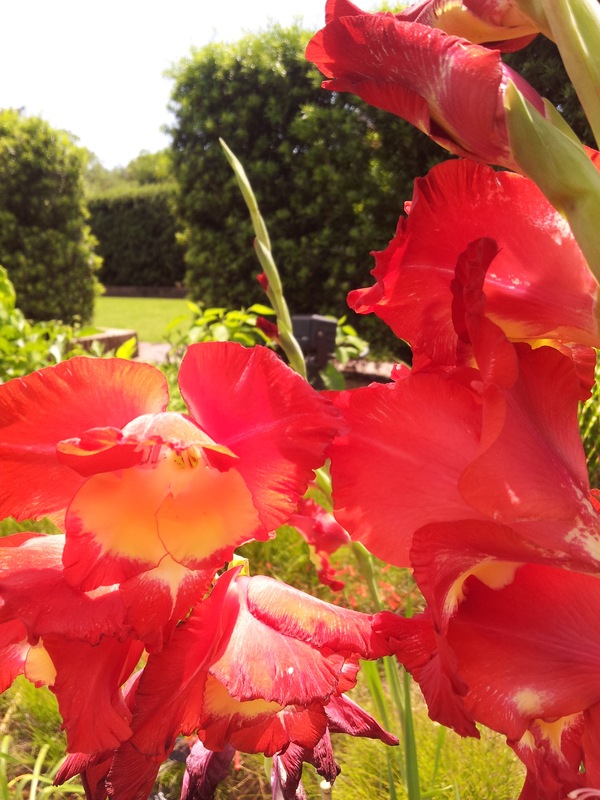 On May 8, 2015 we will be offering visitors time to enjoy the beauty of the Botanical Garden while learning about the New Orleans Botanical Garden's commitment to education. With paid admission to the New Orleans Botanical Garden, tours will be given at no charge to the patron. Tours begin at 10:30am, 1pm, and 3pm. Please arrive at least 15 minutes before the tour begins. Each tour last one hour and 30 minutes depending on questions. Meet at the entrance of the Botanical Garden. Limit to 15 people in groups but all individuals are welcome. There is no need to register ahead of time. Join us for a Flower Pressing Workshop on May 9th at 10:30am. Come join us for a Flower Pressing workshop given by Mary Ellen Miller. Mary Ellen will teach you about flower selection, how to dry flowers, and how to design with pressed flowers in any craft project. There will be a craft project that participants will make and take home just in time for Mother’s Day! To register please call (504)483-9473 or email scapley@nocp.org. It's the 10th anniversary of Cork in the Park! A special Wine Tasting Event To Support Historic City Park! Join us on May 15, 2015, at the Pavilion of the Two Sisters in the Botanical Garden in City Park. Join the party to taste outstanding wines and hot hors d'oeuvres, a silent auction, and a live Jazz Band. Check out the Kid Friendly link on the City Park Calendar. Lots of activities listed there! The New Orleans Botanical Garden has classes just for the kids this summer. City Putt and Carousel Gardens have misters and large fans to help you keep cool! While in Carousel Gardens, check out the new Parker's Cafe. With TV's, AC, free Wifi and yummy food - it's a great place to take a break from the heat. Rent a boat or bike and see the Park from a new perspective. Grab some shade in Couturie Forest or the Shade Garden in The New Orleans Botanical Garden. Spring days are great for fishing. Grab your LA Fishing License & gear and take on our 22 miles of shoreline. Thursdays at Twilight Garden Concert Series at the Botanical Garden: This weekly series showcases a changing lineup of musicians and bands playing everything from ragtime to classical jazz. Check the Park’s calendar for talent names and dates. Paid admission to Storyland also includes admission to the Botanical Gardens and Amusement Park. The last entrance time is a 1/2 hour before closing. Paid admission to BG also includes admission to the Storyland and Amusement Park. You know you want hot beignets and Cafe au Lait! This photo was taken by City Parker, Todd Norman. 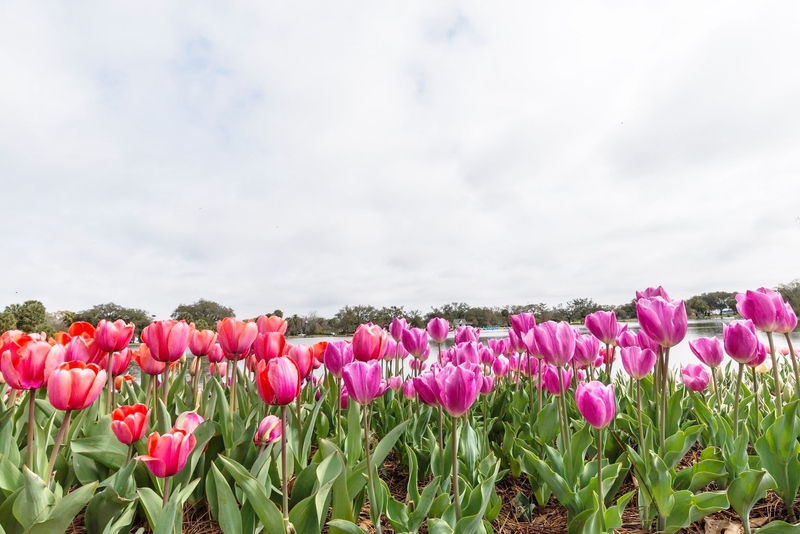 These tulips are at Big Lake - don't miss seeing them while they are in full bloom! Remember when they were planted in mid-January? Check out the before picture by clicking here.